False error codes / Strange copy quality / Random paper jams / etc. Truly there are too many examples to mention where power at the wall outlet could be causing you problems. So many times we troubleshoot a machine forgetting that the incoming power at the wall should be our first test. Wintertime, customer gets cold, plugs in a space heater to the same circuit as the MFP. Machine has been pushed back into the outlet dislodging the box and damaging the conduit. I could go on and on (Yes I have seen each one of these examples). 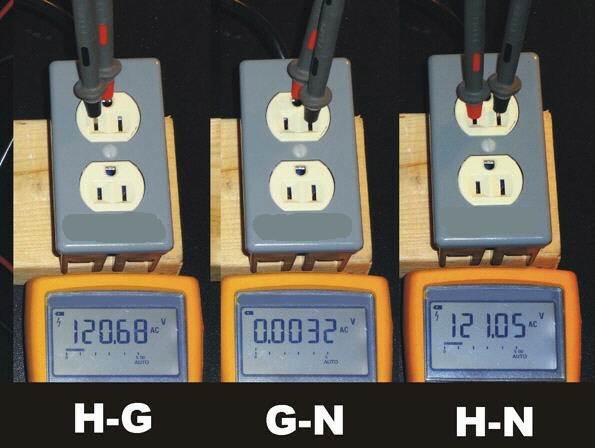 The next question I get is how do I test the outlet and what should my multi-meter read? Below is an example of a 15amp outlet. Lastly, Sharp suggests all MFP placements be installed on a dedicated circuit with NO Extension cords & a SURGE SUPPRESSOR.